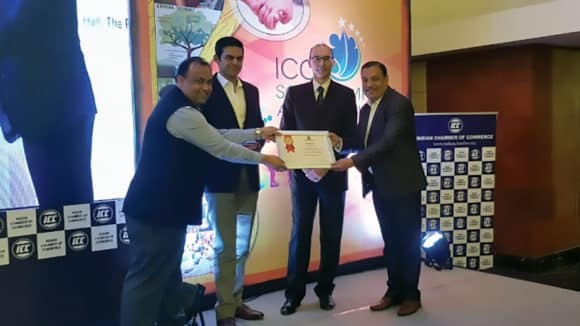 Sightsavers, a development organisation that works to prevent avoidable blindness, restore sight and advocate for social inclusion and equal rights for people with disabilities recently completed their 50 years of operations in India. The organisation had started its programmatic operations in the country way back in 1966 and since then it has successfully reached out to millions of people living in the deprived regions of the country. On the occasion, Sightsavers 50 year’s emblem was unveiled by Dr. S.Y Quraishi, former Chief Election Commissioner of India who is currently serving as the honorary Chairman of the board of Sightsavers, India. “I am proud to be associated with Sightsavers as the Chairman of the board, an organisation that works in more than 30 countries and active in India since 1966. I appreciate what Sightsavers has managed to accomplish over the years. 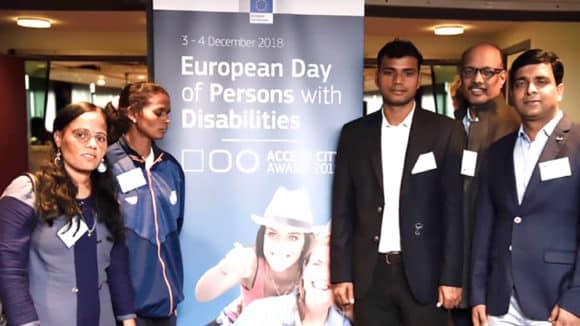 Through Sightsavers’ threefold approach covering eye health, inclusive education and social inclusion, the organisation has created a positive impact on the lives of the poor located in urban and rural areas.”, said Dr Quraishi. 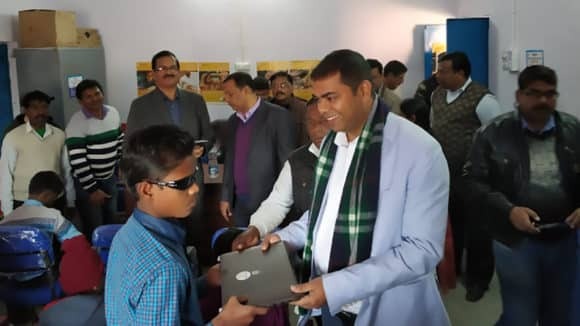 “This initiative is our effort to showcase the glimpses of our history, our major partnership and key initiatives that we have taken to eradicate avoidable blindness from the country” said RN Mohanty, CEO Sightsavers (India). 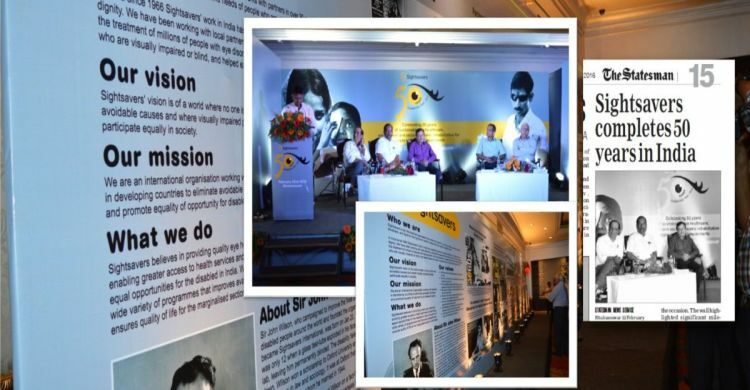 A history wall, especially designed to exhibit Sightsavers’ journey through the years, was also unveiled on the occasion. The wall highlighted significant milestones, key initiatives and major partnerships that Sightsavers was able to achieve over the past five decades. The event concluded with a spectacular live performance by various differently abled artists.